Those HR people in the Culture Department are a hard-nosed bunch. Instead of letting civil servants working on the media ownership brief have a well-deserved rest in Tuscany, they keep them at their desks in the hottest months of the year publishing policy statements when the sun is shining. 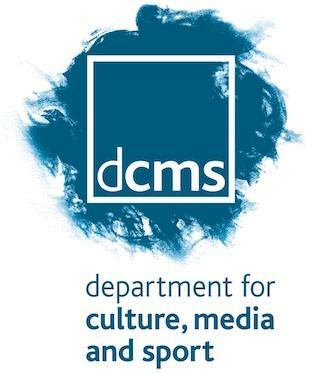 Last year the government launched its consultation on ‘Media Ownership and Plurality’ in July while this year, even deeper into the summer, the DCMS has just published its long-awaited response both to its own consultation as well as the House of Lords Communications Committee’s recommendations from earlier this year. The good news is that it is very brief and thus very handy for taking to the beach. The bad news is that it takes us backwards in terms of dealing with the very pressing problem of concentrated media ownership. Let us remind ourselves of the problem. We have an environment in which three companies control some 70% of daily national newspaper circulation, five companies control 70% of regional circulation, a single news wholesaler provides bulletins for the vast majority of commercial radio stations and where, in 35% of local communities, a single title has a 100% monopoly. Lord Justice Leveson spotted this problem when he argued that ‘it remains vital to ensure that there are many different sources of news, controlled by many different people, and reaching the public by many different routes.’ Indeed, the Leveson Inquiry heard an enormous amount of evidence which demonstrated the dangers of the collusive relationships between a handful of very powerful proprietors and top politicians too scared to confront this power for fear of jeopardising positive coverage. For a moment, we thought that some politicians might be prepared to take on the power of the media moguls. Ed Miliband talked about breaking up the Murdoch empire and even deputy prime minister Nick Clegg argued for a more robust and consistent application of ownership rules to protect plurality. Those days seem a long way away – not that the problem has disappeared but that the political will to confront it has eviscerated. It is in this context that the government’s latest offering on plurality is so infuriating. Firstly because the questions it posed in last summer’s consultation are so similar to the ones presented by the then secretary of state, Jeremy Hunt, to Ofcom in October 2011 – just after the phone hacking revelations had been published. The questions then focused on how best to develop a framework for measuring plurality, whether the BBC should be included in any system and whether websites should be considered. Additionally, Hunt asked Ofcom to investigate the practicality of imposing ‘absolute limits on news market share’, a line of enquiry that has since totally disappeared from the government’s approach. So nearly three years on, and following all the revelations of the Leveson Inquiry, the continuing crisis in local news and the various attempts by Rupert Murdoch to strengthen BSkyB in Europe, we are no further forward. Second, the government’s response to its own ownership consultation is more than a little predictable: yes, online news should be included within the scope of any new framework for measuring plurality; yes, news and current affairs are the most important genres in considerations of plurality; yes, the BBC should be included in an assessment of plurality; and yes, there should be at least some consideration of local and regional markets as well as the national picture. None of this takes us any further forward than Ofcom’s own response to Hunt’s 2011 request to investigate these issues in its Measuring Media Plurality document of June 2012 which mapped out a very similar approach. This has not stopped the government from once again focusing on the measurement issue (as opposed to drawing up remedies) and ‘commissioning Ofcom to develop indicators that can show how far the UK has an “ideal” market in terms of plurality.’ Oh yes: this new measurement framework ‘should be developed in consultation with industry’ and presumably not with the burgeoning number of civil society organisations and individuals who have increasingly identified media concentration as a fundamental issue of democratic rights. The government’s response to the Lords Committee Report is equally anodyne. Back in February, I described the Lords’s recommendations as hardly likely to cause media moguls to lose any sleep. However, at least its suggestions for periodic plurality reviews, assessing the overall diversity of news media markets, supplemented by ‘transactional reviews’ to consider issues arising from a proposed merger or acquisition, were definite and achievable. In contrast, the government’s document puts off any such proposals until after Ofcom has completed its measurement framework. In a marvellous example of how to avoid responsibility to act on a major public policy issue, the government insists that ‘we believe that the need to remain nimble in the face of great change is key to successful policymaking at this time.’ There is no comment on the Lords’ discussion of the possibility of forced divestment as a result of organic change and not a single word that acknowledges the proposals from civil society for firm limits on media ownership and behavioural obligations to tackle media concentration (that were at least taken seriously by the Lords before being firmly rejected). So here we are in the summer of 2014, three years after the hacking scandal first broke, 18 months after the publication of the Leveson Report that identified pluralism as a key policy objective but, most significantly, less than a year before a General Election. The only noise to be heard from those ministers and officials charged with securing media pluralism is the beautiful sound of silence as they are finally able to head off to their beaches and villas having once again thrown the issue of media ownership into the very long grass.